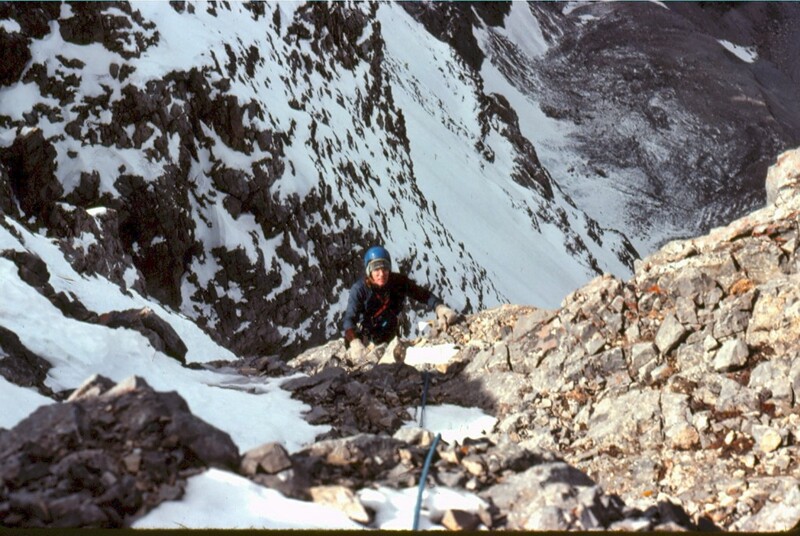 Below you will find Bob Boyles’ favorite photos from the first ascent of the Direct North Face of Borah – Oct 1976. 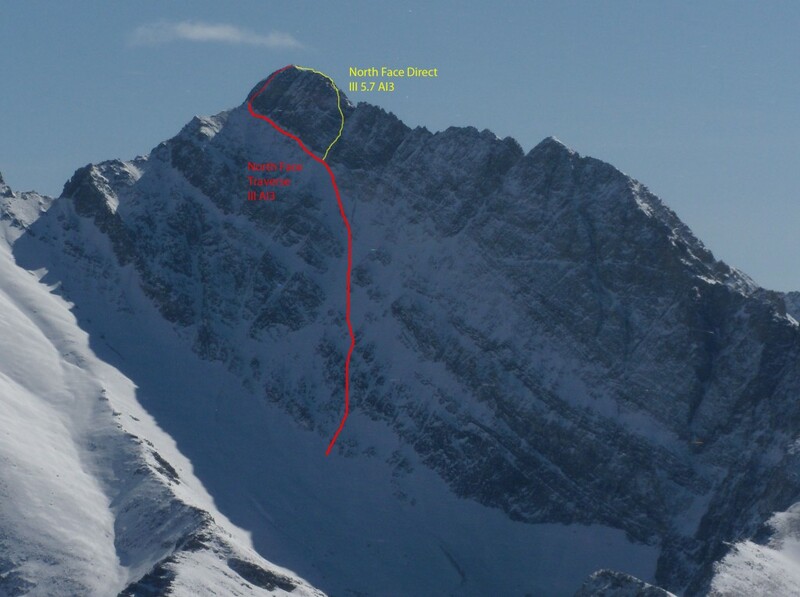 The North Face of Mt Borah is considered by some to be one of the finest alpine climbs in Idaho and one of the few faces that holds ice during most years. The lower face starts at around 45 degrees and steepens to around 55 degrees below the summit pyramid. 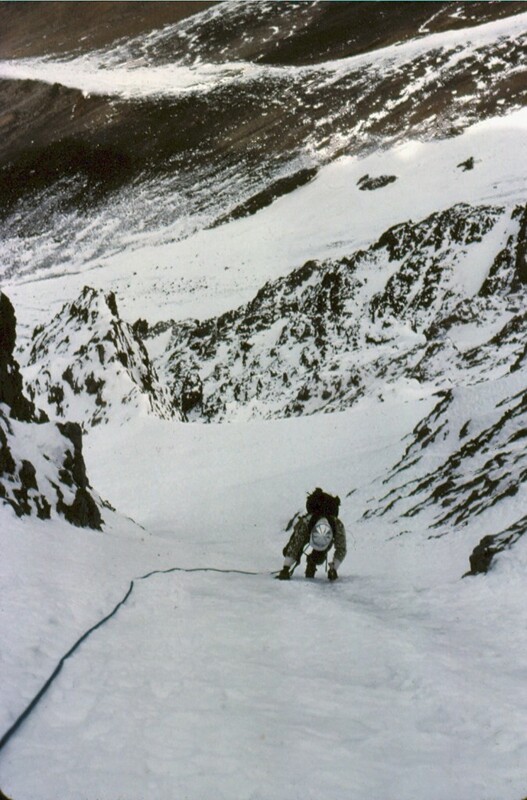 This route takes the left branch of the main couloir until it ends at the short steep rock step (5.7) and then follows low 5th, 4th, and 3rd class steps directly to the summit. 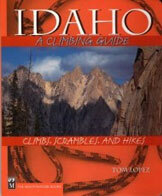 In the early season, (late spring and summer) this route is usually a steep snow climb. In late season (late summer and early fall) this route can be all hard alpine ice (10 pitches, WI3). In good conditions this route can be climbed in a few hours. In poor conditions this route can take all day. 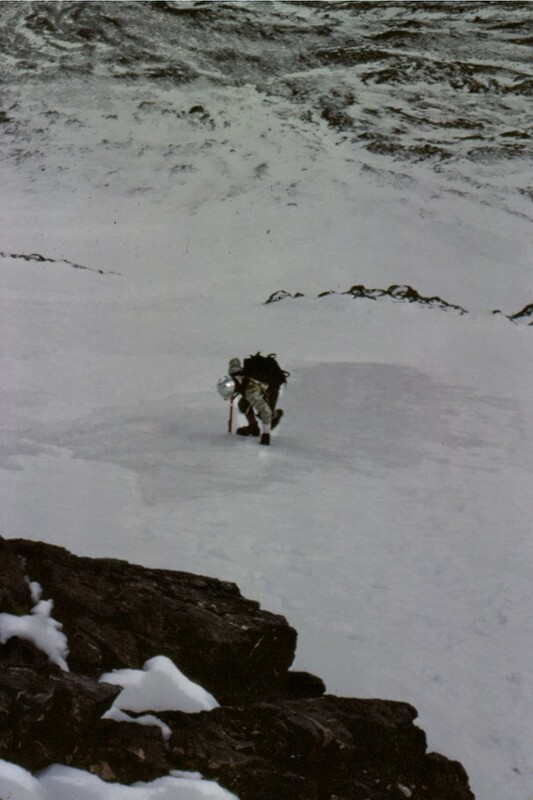 The Southwest (Chicken-Out) ridge is often used for descent. Mike Weber “frenching” up on hard ice. 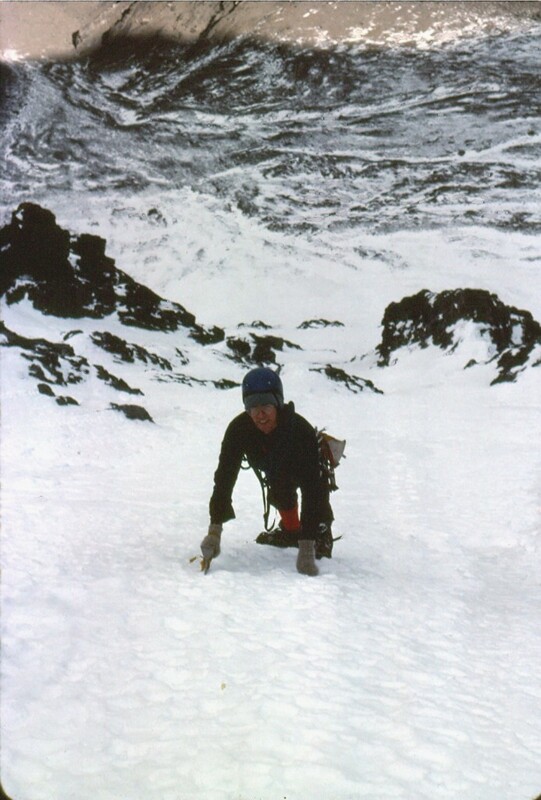 Bob Boyles high up on the north face. 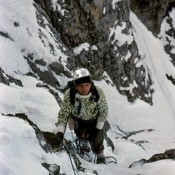 Mike Weber at the start of the main couloir. Mike Weber on belay below the crux pitch. 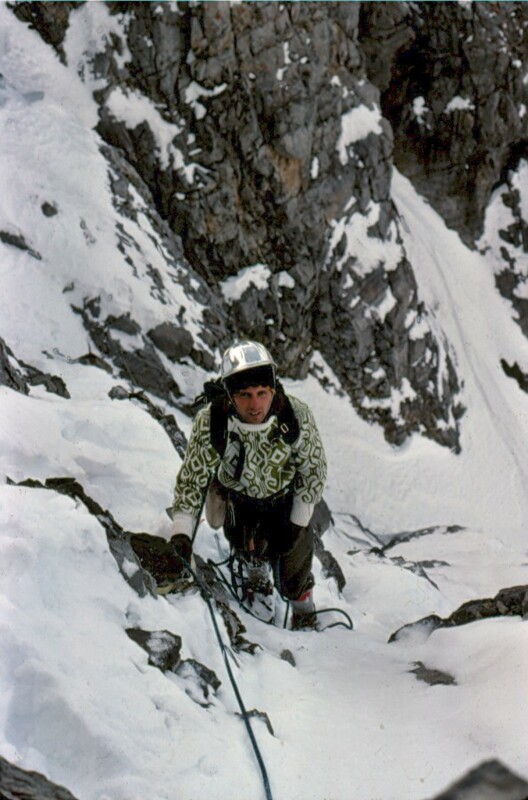 Bob Boyles topping out on the NF Direct. 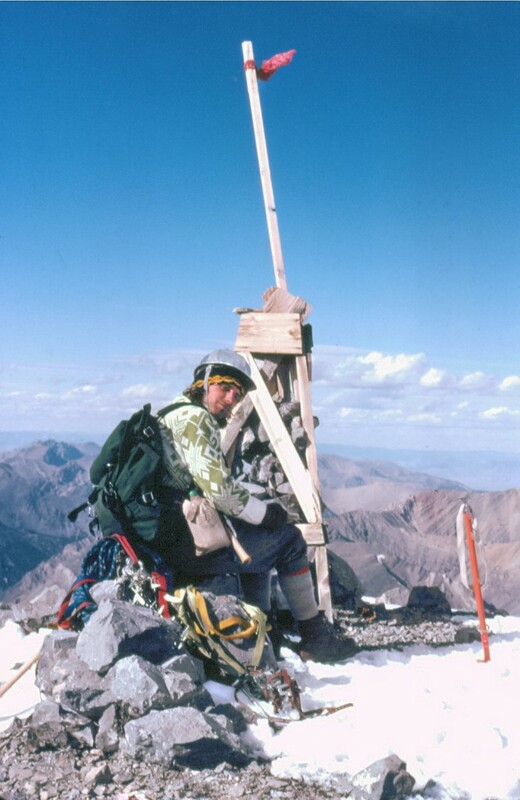 Mike on the summit of Mt Borah. 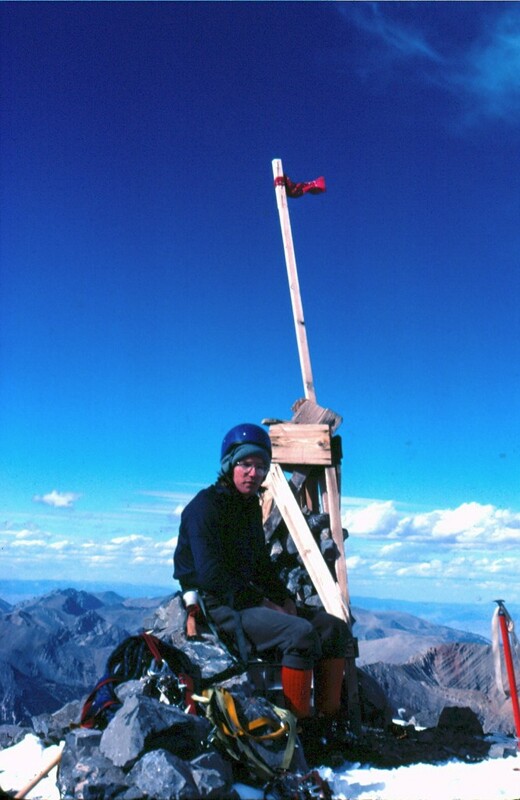 Bob on the summit of Mt Borah.